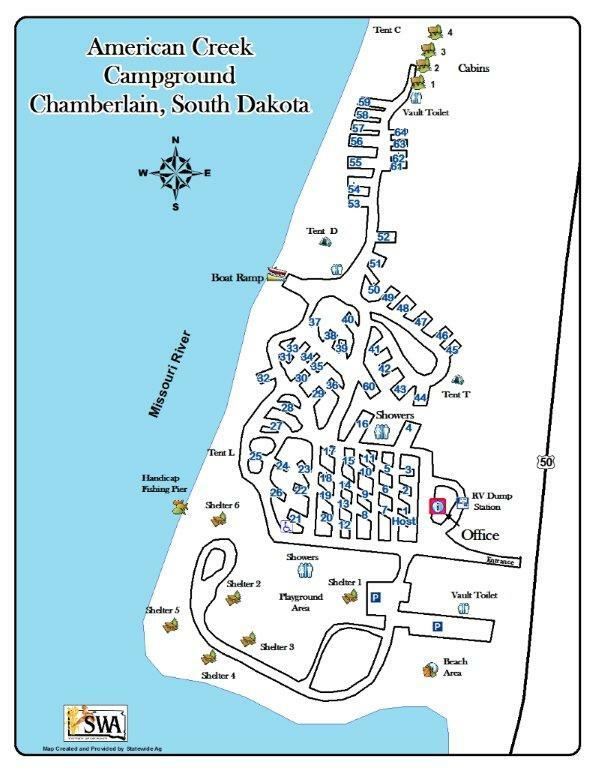 Camping along the shores of the beautiful Missouri River in Chamberlain, SD! Enjoy spending time with family and friends as you relax along the shores of the Missouri River. Enjoy the scenic views, local wildlife, and spectacular sunsets over the bluffs. As you relax, enjoy water recreational activities and some of the best walleye fishing in the state. Do you have kids? They can enjoy our spacious playground and swimming at the beach. We offer all of the amenities to make your camping experience a success! We are located off Interstate 90, Exit 263 or Exit 265 at 701 North Main Street, Chamberlain, SD 57325. Nestled along the river’s edge, we are conveniently close to the local marina, restaurants, laundry mat, gas station, and grocery stores for all of your shopping needs. 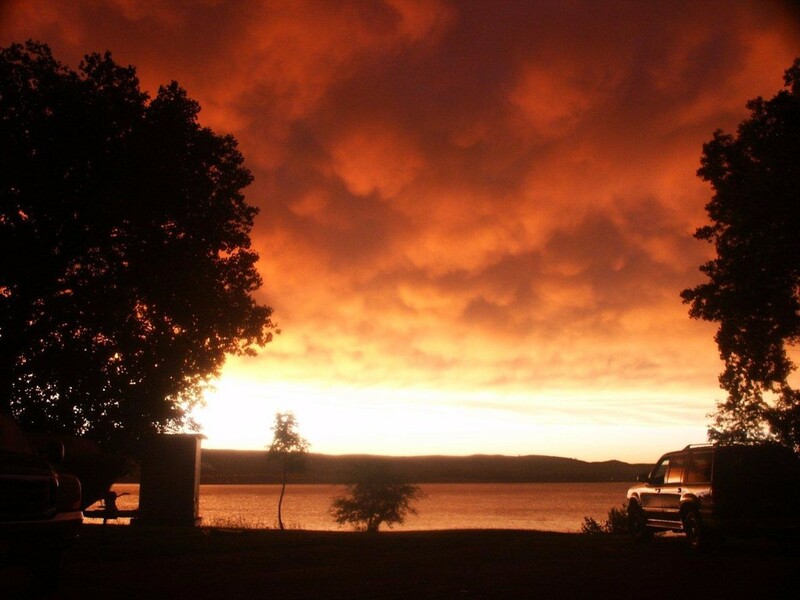 Experience camping at its best along the shores of the Missouri River. Enjoy the scenic view and restful sounds of the river. End your day with a South Dakota blazing sunset! April 15 – October 31 weather permitting. Our Facilities include: 64 RV sites, 24 tent sites, 4 cabins, 2 shower houses, 6 covered picnic shelters, playground, volleyball net, horse shoes, swimming beach, fishing pier, boat ramp, rentals, gift shop, ice and firewood, dump station and potable water. There is a portable dump available. Guest may request special sites and we do our best to accommodate but we can’t guarantee them and could be subject to change. 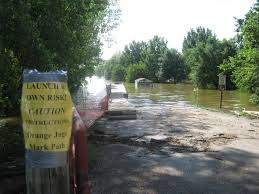 Our rentals include campers, pontoon boat, kayak, canoe, Stand up paddle board, paddleboat, bikes, and more…..
Picnic Shelter: We have 6 covered picnic shelters with tables, grills, electricity, water, and garbage. Contact us today to rent a shelter for your family reunion or special event! Fishing Pier: Enjoy the beautiful new lighted handicap fishing pier which is also available to rent for your special event! Gift Shop: Our gift shop features drinks, ice, firewood, and camping supplies. Guides: There are fishing & hunting guides available upon your request.